Comment: The exterior of the house needs to be painted. The front is vinyl siding and the other 3 sides are stucco. The primary color is off white/cream. The trim is wood and is hunter green. The house is 1850 sq ft.
Riverside Painting Contractors are rated 4.82 out of 5 based on 550 reviews of 24 pros. 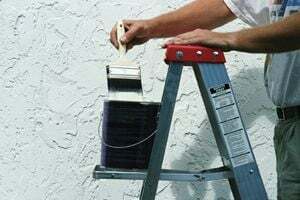 Not Looking for Painting Contractors in Riverside, CA?